The way that things are done nowadays have become more and more advanced. It could either make things a little complicated or it could make life easier. Either which, all these are to be credited to man’s continuous effort to explore and learn new things through invention and advance in technology. We now rely on heavy machinery and digital platforms to get things done. Most production of goods are done through different devices which takes the burden of of man’s shoulder. 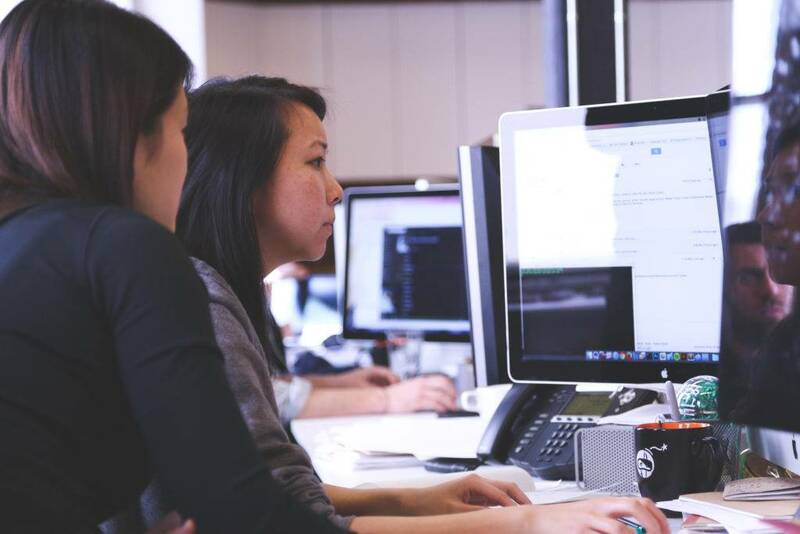 And most of all, media production and motion graphics, which includes, videos and photography, has incorporated the use of digital software and devices in order to produce the best results. Digital illustration is the process of using non-traditional means of creating an art. It takes advantage of the present digital software platforms or tools that are seen efficient in producing one of a kind visual presentations. 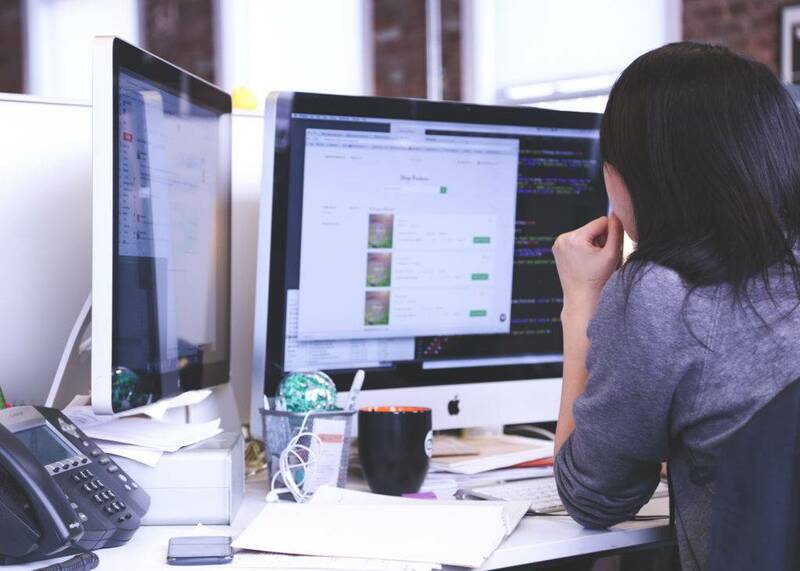 This is usually done using a computer, software programs specifically designed for such tasks, and a person to use the tools. Forget about the manual painting wherein you will have to dip yourself into different paints or spend your entire day sketching on a pad. This process simply requires your imagination and a few strokes of your hands using a mouse or any digital devices that you could use. Nowadays, there is an increasing number of demands in the world of illustration design, going digital. Digital artists want to become more creative and provide distinct outputs. Although there are already available software and tools for digital illustration, others still want to explore the depths of their imagination and turn it into art, thereby becoming a reality. Digital illustration is now used in movies and other forms of media. Decades ago, we have been used to watch analog screens and real actors are the ones portraying their respective roles. However, since the advent of the digital era, three dimensional and even four dimensional movies have been in theaters. Not only that, some illustrators and graphic artists are now redefining the movie industry. They are on the venture of making movies that would bring almost a live feeling, as if you are a part of the movie. Digital illustration is an example of man’s pursuit for a deeper pursuit for excellence. We now continue to discover new possibilities and how to turn ordinary things into extraordinary ones. However, digital illustration should not be confused with computer-generated art which it originates from mathematical equations and intrinsic use of technological models. Digital illustration is an art born from the imagination of the artist created from scratch. 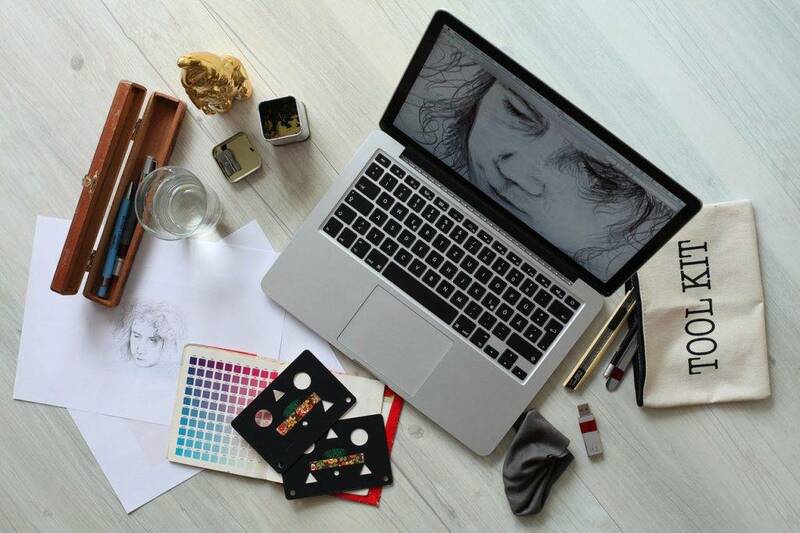 This means that the graphic artist uses tools and software in order to create a digital illustration. One example of a tool that most digital illustrators are tablets. These are touchscreen gadgets where they can use a pen or simply their bare hands. This is a little better compared to using a mouse, which is a computer accessory used a decade ago. Now, with the use of tablets, graphic artists can artistically create designs with their hands without having to experience the struggle of using a mouse. Using tablets and other touchscreen gadgets, illustrators have the same feeling as if they are working on a canvas. With these tools, all the necessary instruments to make the art is within reach. Colors, lines, frames, etc. are all in these tools. All the artist has to do is to work on his imaginations and learn to use these tools. With the availability of these tools, digital artists can be more productive without having to spend so much time and effort compared to the traditional way of creating an art. Moreover, through digital illustration, artists can easily share their works to the World Wide Web which most people are using nowadays. The secret to creating the perfect digital art is finding means on how you can replicate the feeling of working on a sketchpad using a pen or a pencil without having the idea that in reality you are using a different device. So, with the advancement in technology, tablets and other touchscreen gadgets have started to emerge making a digital illustrator’s life much easier. Here are some of the best tools or software you can use with your devices to make you a better digital illustrator. 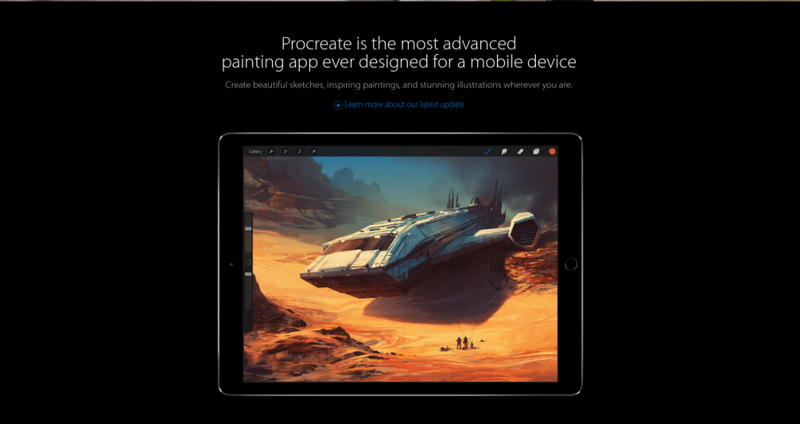 Although Procreate is currently available for iOS devices only, it is still considered one of the best tools for digital illustration. Some actually prefer to use iOS devices because of the crispness of its graphics. It is the most advanced painting app designed for mobile devices. Most users install these on their iPads because as an illustrator, you need to have a large screen to work on. You can use a stylus that comes with most iPad devices in order to create beautiful sketches and inspiring paintings. Plus, you can work anywhere and anytime as long as you have your gadget with you. Let your imagination make wonders. Most of us are probably already familiar with Adobe Photoshop. However, we might only be aware that this software is primarily used for photo editing and enhancement. 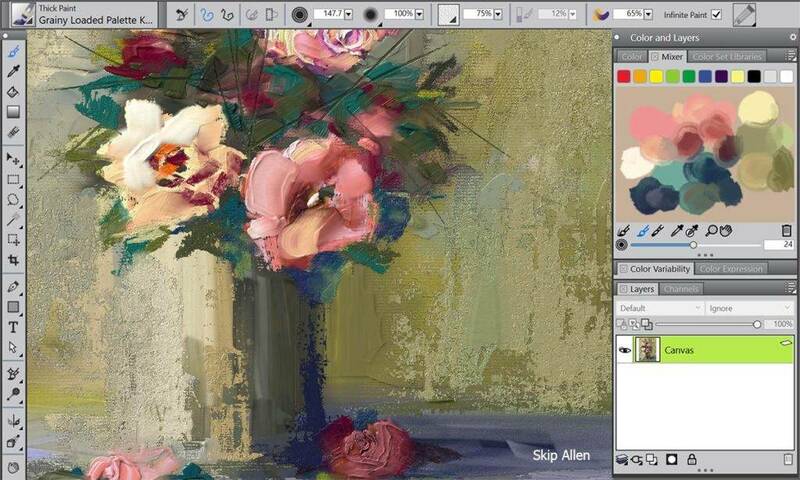 Guess what, this software has also the feature of painting using either your laptop, desktop, or mobile devices. It comes with customizable brush settings with a very affordable monthly fee. 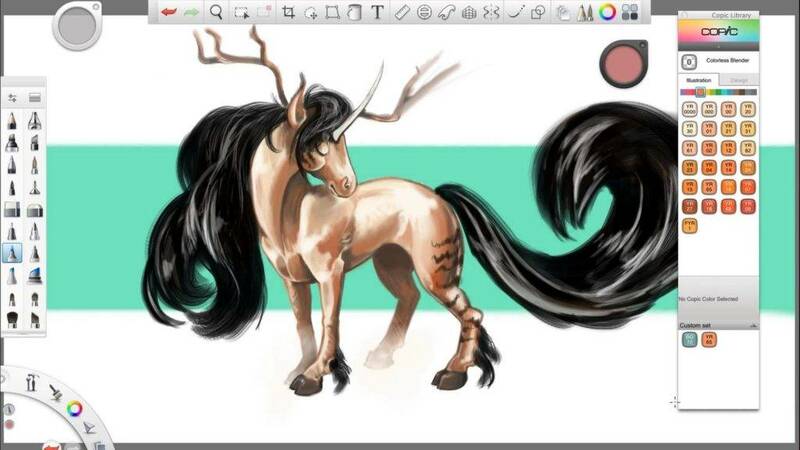 Despite its cost, most digital illustrators use Corel Painter X3. It has the most advanced tools and settings when it comes to brushes and texture. You can also preview the strokes to make sure that your strokes are free from blemish to produce an inspiring canvass. Most of all, it has a variety of colors for wet and dry media illustration. 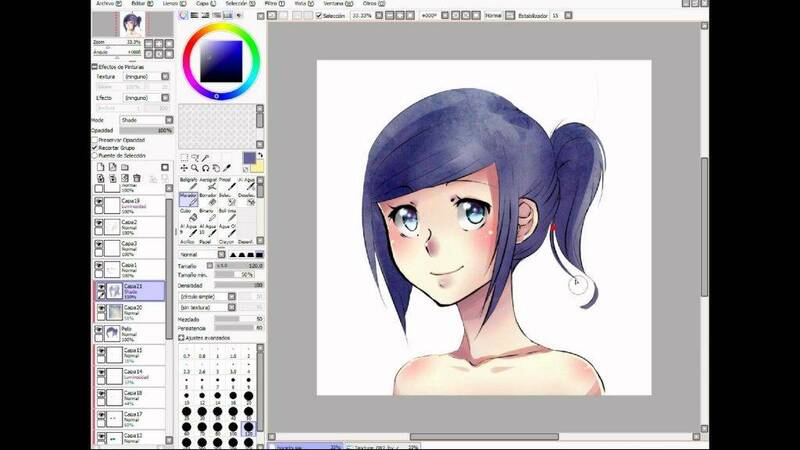 Clip Paint Studio was originally intended for manga creation. When drawing manga characters, the artist needs to be precise with the weight of each pencil or pen that is used. This software can do exactly that job. It produces natural, real-like drawings through its various brushes. There are numerous expressions that you can use such as watercolor, pastel, pencil, or oil painting. Through time, it evolved into a much-loved software by illustrators. They now use them to create all kinds of digital art. Some architects also use them to draw buildings and all kinds of structures that require sophisticated designs and details. This is a one of kind software to practice and master your skills in painting. This software is specifically designed for tablets and other mobile devices but can also be used in desktops and laptops. You can easily blend colors with its eighteen blending modes. It also comes with fully adjustable rulers to guide you for a more precise drawing experience. There is also a predictive stroke feature for a smoother look on basic shapes like circles, rectangles, and triangles. This is one of my favorite in the list. You can almost do everything with this software. It has a selection of more than sixty creative live effects which includes crumple, liquid paint, pencil and crayon drawing, oil painting, and a whole lot more. 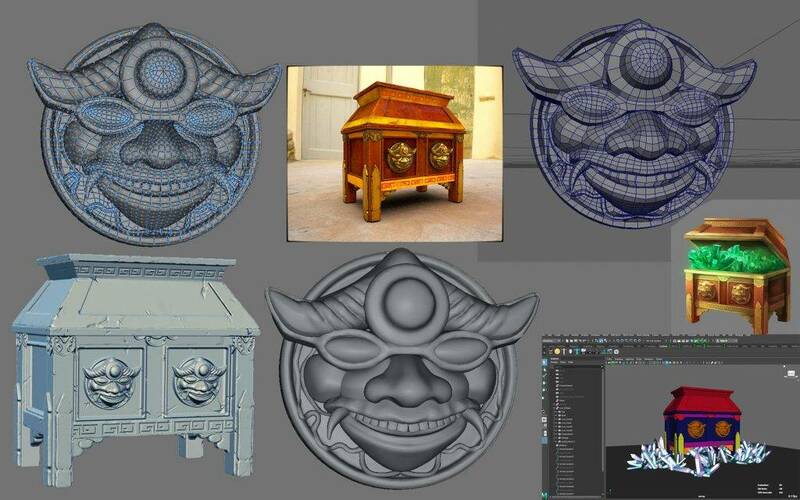 Plus, it has a 3D extrude tool which means you can create images and and shapes and shade it with a 3D version. Cool, right? 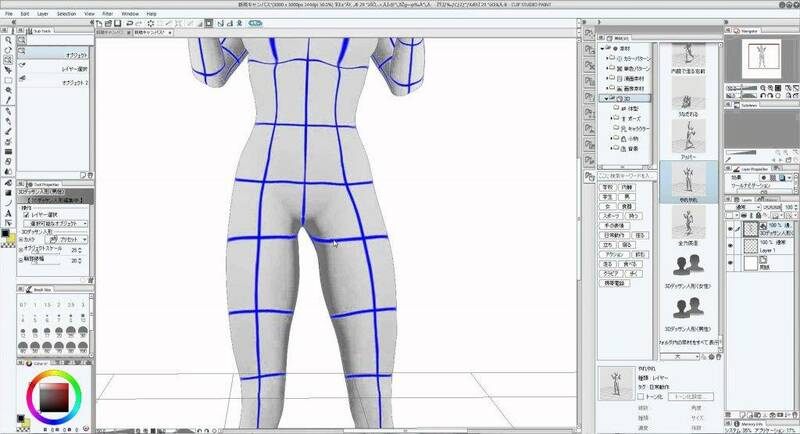 This software is basically used by those who are in the movie animation production because of its 3D capability. 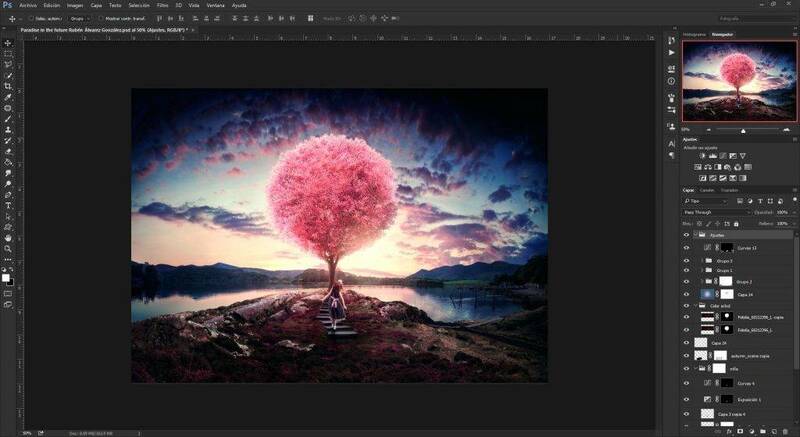 With this software, you can create images that are almost surreal, which is now a common trend in modern day illustration. It also comes with digital sculpting tools whenever you need to create something magical. In addition to that, it also has advanced repotology tools which makes an ordinary texture look more alive. It adds more optimal geometry to an image which then becomes animated. This is a software that as far as I can remember, was the most popular back in the 90’s. However, as better tools emerged and with the integration of 3D effects, it somehow left the scene in digital illustration. But guess what, this software is still a good choice when creating a good digital imagery. While other software struggle with their paintbrushes and the texture of the colors, Easy Paint Tool still does the job. It has a a gazillion of paint brushes that you can choose from. This is probably the best pair ever if you are a graphic artist and loves everything about the iOS. They are like Ant & Dec that without the other, the show would be lifeless. Pencil is a software tool in an iPad Pro. You will be amazed by the kind of art you can create with its useful tools and a variety of functions that will make the art world go loco. This is a product from a company called Wacom, formerly known as Wacom Bamboo. If you are a skilled graphic artist or maybe someone who aspires to be one, this is going to be your new best buddy. The Intuos Pro comes with 2048 levels of pen pressure sensitivity that makes every stroke perfectly made. You will feel as if you are using an actual pencil or pen because of its finesse. This is another product of Wacom that was recently released. It gives you a satisfying feeling of working on a digital device while at the same time doing the things you can do on a canvass or a piece of paper. It also has an HD display (1920 x 1080). Another innovative product from Microsoft, it provides the graphic artist of working on a realistic environment and at the center of the creative process. This device has a 28-inch touch screen display and has a thickness of only 12.5 mm. This sounds so impressive considering its large screen plus the panels on the side that consists of all the features and functions you are looking for to make a perfect illustration. Digital illustration requires not only mastery on the tools to be used but also a wide imagination and the willingness to make a difference. Apart from creating artistic images, a digital illustrator also needs to consider some important reminders to keep the journey a little bit exciting and rewarding at the same time. Here are a few tips you might want to consider. Use texture brushes. Not all good photos and images are achieved by the use of advanced technologies like 3D presentation. One can simply create a one of a kind photo by using texture brushes and to know when to use it. There are different kinds of brushes depending on the device that you are using. You need to be careful which brushes provide thicker impact and which ones do not. Utilize pen tablets. Nowadays, most digital artists use tablets with pen in order to create breathtaking images. If you have the funds, invest in these gadgets and for sure you won’t regret getting one. Make use of what the times can offer you and make it as your advantage. Imagine yourself working on a desktop with the mouse as your only weapon. It may take a week for you to finish a project on a computer when you can do it in a day using a tablet. You don’t have to spend all of your savings just to get one though. Spend within your means. There are a lot of avenues where you get a cheap tablet and install drawing and sketching software or apps and, for Web designers, wireframing tools. Do a little experiment with the tools. With the multitude of available settings and features around these days, it is really hard to know which ones works best. So, to fix this issue, simply do a little experiment with the tools that you have. Start with the ones that you can find on free digital drawing software. And if you think you need to discover more to be good, try the difficult ones until you master it. Create layers after layers. Layering is the term in digital illustration wherein you use different layers of elements such as colors and textures or another image on top of your existing one. This is done by particularly studying every layer of the image and trying which layers would fit or compliment the first one. This method adds color and taste to the image and simply adds more beauty to it.